Back in the day when playing Team Fortress Classic (bless its wee heart – many weekends were spent racking up a huge phone bill while learning to double conc, bunnyhop and all the rest), I could easily discern between 100fps/100hz and, say, 75fps/100hz. 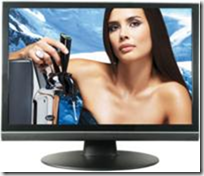 I used to notice the effect of dropping frames or using a poor refresh rate, perceiving it is a slight judder of sorts. My colleagues still troll me for this claim. I’d be incredulous when told that some folk played with vsync enabled and didn’t notice their framerate halving when the PC missed the refresh interval. Unthinkable. 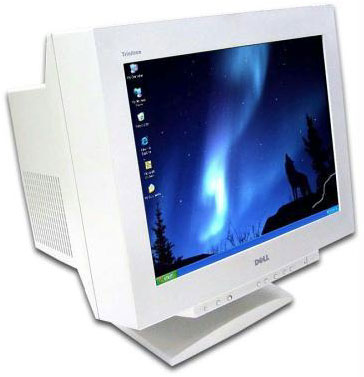 I still know a few folk who held on to their CRTs and used dual monitors – one for gaming and one for everything else. Anyway, following the natural order of things, my CRT gave up on me about 6 years ago. Its black depth was middling grey and brightening by the day, so I had to get a new monitor. 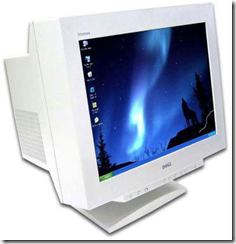 My first LCD monitor was a Viewsonic VP201B featuring a (by today’s standards) very old VA-based panel. I was still a skint student, so I got it second hand. To say I was underwhelmed would be generous — gaming was like a bad joke. The screen was awash with smeared colours and black trails. The colours were decent and it used less power compared to my old CRT, but that’s the best I could say for it. Failure. It was akin to being drunk and having cataracts after possessing 20/20 vision. I then upgraded to a cheapo 24" LCD (well, it was £210) that had a decent VA panel, pretty much no input lag and half-decent pixel response. It was an order of magnitude better than the first LCD I bought and, with the memory of my CRT fading, I was relatively satisfied when playing FPS games. It was acceptable and not much more. I’ve always wanted to buy a better monitor and was tempted when the samsung 120hz displays started hitting the market but, there was always something holding me back — be it input lag, ghosting, colours, price etc. I was tempted by the precursor to the XL2411T but didn’t purchase it for some reason. This time I decided to pull the trigger. The XL2411T boasts 144hz, rapid pixel response and pretty much no input lag. The linked review measures input lag at 2ms – most LCD monitors suffer from input lag in the range of 10ms to (in really bad cases) 60ms. 2ms is negligible; you’ll struggle to find better. + Fluidity in games. Oh my god. For a berk like me, the change to 144hz instantly made the motion of the mouse cursor in windows look very different. I eagerly booted up BF3 and lowered my res to 1280x720p to guarantee a good framerate. You cannot appreciate how different it is to play with 120hz until you experience it for yourself. Normally, when enemies would run across my screen with my old monitor, they’d often look like they ‘skip’ a frame or two. This was particularly the case if someone was strafing me at close range (if someone crosses your screen in a fraction of a second, you’d often see a few frames of them if you were lucky). With the Benq, I can track them so much better. Benq have an advertising blurb demonstrating a path filled in with ‘extra’ frames at 120hz and, surprisingly, they’re not exaggerating in the slightest. It is astonishingly good. Your accuracy will increase and you’ll track enemies better. It’s reminiscent of watching a TV program where the way it has been filmed imbues it with a certain ‘live’ quality. + The monitor is solidly built — not at all flimsy. The stand is really nice and is fully adjustable. I’ve got it up by perhaps 15 cm. I like its aesthetics; it’s simple, understated and not at all flashy. – Colours are mediocre. 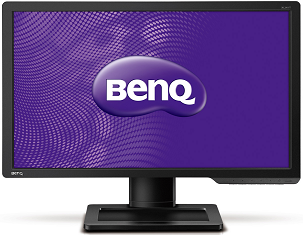 My previous monitor was a little washed out, but the Benq is worse. I actually panicked when I turned it on for the first time, as the colours were so bright and ghastly that I thought I was stuck with a garish goose. There’s a few monitor reviews that have settings / profiles to download, so I’d recommend scouting around for ideas. After taking the brightness down to 28, changing the gamma to profile 5, tweaking the colours via the OSD and finally running the windows colo(u)r calibration tool, it looks a lot better, but it’s still not great. Don’t even think of using any of the colour profiles unless you’re going to spend hours tweaking it. Stick with the standard profile. – Viewing angles are poor. It’s a TN panel so this is to be expected. – Flicker at 144hz. I thought I was some sort of crazily sensitive person and was detecting the refresh of the monitor, but it turns out this is a common problem and is mentioned in the reviews. It is exacerbated with certain patterns / brightness levels. You can switch between 120hz for the desktop and 144hz for games, though. – The OSD is an abomination. While the buttons are solid, the layout and design of the menus is just terrible. It took me forever to use. I’m not being picky either, as I have a middle of the road 22" Dell at work and guess what? Its menus are logically laid out, simple to navigate and easy to use. Benq could do much better here. I’m fed up of monitor manufacturers making the OSD an afterthought. Do your homework, folks! – The monitor is not so fluid if your PC cannot supply a framerate that approaches the refresh rate. This is a common problem in LCD monitors that affects them markedly compared to CRTs (look up "sample and hold" for an explanation). Basically, it’s worth making your games ugly to gain fluidity. Turn down settings, lower your resolution. + The good thing is that there’s a hack to enable Lightboost in 2D games to reduce this effect. I’ve not tried it yet, so I can’t comment on its effectiveness, but there’s plenty of people raving about it. 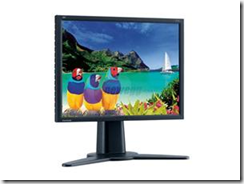 If you’re a FPS gamer and want to treat yourself, get this monitor. All other negatives are significantly outweighed by just how different it is to experience that (approaching) CRT fluidity again. It’s a night and day comparison. I’m not satisfied with various aspects of this monitor, but it shines when you’re playing games. I was messing about trying out new guns in BF3 and still managed a 4 to 5 KDR. It’s just… so … smooth. Update: I just tried Quake Live @ 120hz. It wasn’t as good as I was expecting it to be. I play QL with everything set to low (flat-shaded walls etc) and for whatever reason, rotating the camera still causes noticeable motion blur. It’s hard to describe, but it’s definitely there. I’ll try the Lightboost hack at some point – hopefully that will improve matters. Can you please measure input lag of monitor with lightboost mode and with 144hz? I don’t have the equipment to measure this, unfortunately. 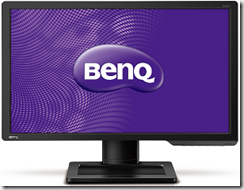 I’ve read that other monitors have increased input lag when using it, but I don’t think the Benq suffers from it. Your best bet is to check some of the reviews I linked to. I’m pretty curious about your assessement of LightBoost. I can confirm that using a stroboscopic display technology (CRT or LightBoost) makes a huge difference at fps=Hz. That includes Quake Live and any games you’re able to play 120fps@120Hz. 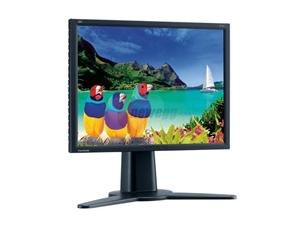 The stroboscopic nature eliminates the motion blur caused by eye-tracking. Even a 2ms 60Hz display can have 16.7ms (1/60sec) of eye-tracking-based motion blur, because of the sample and hold effect. It even affects OLED: Why Do Some OLED’s Have Motion Blur?. There’s a lot of scientific references at the bottom of this page. The only way to eliminate the perceived motion blur caused by eye-tracking motion (sample-and-hold motion blur), is to shorten the refreshes — either by increasing Hz — or by adding black period between refreshes (aka flicker). I’ve still not tried the lightboost hack. Will update the post when I get around to it. There’s a new utility to enable LightBoost, called ToastyX Strobelight, which allows you to turn on/off LightBoost with just a single keypress. Much easier than the hacks.